A.Acus, E.Norvaišas, D.O.Riska (University of Helsinki, Finland). Stability and representation dependence of the quantum skyrmion. – Phys.Rev.C: Nucl.Phys., 1998, v.57, No 5, p.2597-2604. S.Ališauskas, J.P.Draayer (Louisiana University, USA). From canonical tensor operators of SU(3) and uq(3) to biorthogonal coupling coefficients: Explicit expansion. – J.Phys.A: Math.Gen.Phys., 1998, v.31, No 37, p. 7461-7482. A.Bartkevičius, R.Lazauskaitė, S.Bartašiūtė (Vilnius University). Constraints on the age of the Galactic thick disk from a sample of Hipparcos turnoff stars. – Proc.Coll. “Harmonizing Cosmic Distance Scales in a Post-Hipparcos Era”, 14-16 September, 1998, Haguenau, France. L.Bytautas, D.J.Klein (Texas University, USA). Chemical combinatorics for alkane-isomer enumeration and more. – Journ. of Chemical Information and Computer Sciences, 1998, v.38, No 6, p.1063-1078. L.Bytautas, D.J.Klein (Texas University, USA). Symmetry aspects of nonrigid molecules and transition structures in chemical reactions. – Int.J.Quantum Chem., 1998, v.70, p.205-217. P.Bogdanovich, G.Duškesas. Correlation correction for the electron density at the nuclei of light atoms. – Lith.J.Phys. (Liet.fiz.žurn. ), 1998, v.38, No 1, p.131-135 (in Russian). P.Bogdanovich, G.Gaigalas, A.Momkauskaitė. Account for correlation corrections into interconfigurational matrix elements. – Lith.J.Phys. (Liet.fiz.žurn. ), 1998, v.38, No 5, p.443-451 (in Russian). P.Bogdanovich, G.Gaigalas, Z.Rudzikas. Efficient method to account for correlation effects when generating atomic parameters for complex atoms. – International Conference on Atomic and Molecular Data and Their Applications (ICAMDATA 97), Gaithersburg, Maryland (USA), September 29 – October 2, 1997. National Institute of Standards and Technology, USA, Special Publication 926, August 1998, p.109-112. P.Bogdanovich, S.Šadžiuvienė, N.Piskunova (Vilnius Pedagogical University). Investigation of properties of transformed radial orbitals. – Lith.J.Phys. (Liet.fiz.žurn. ), 1998, v.38, No 2, p.159-167 (in Russian). R.P.Boyle (Vatican Observatory), A.Kazlauskas, V.Vansevičius (Institute of Physics), V.Straižys, F.J.Vrba (U.S.Naval Observatory), J.Sūdžius (Vilnius University), F.Smriglio (Rome University, Italy). CCD photometry of the M67 cluster in the Vilnius photometric system. – Baltic Astronomy, 1998, v.7, No 3, p.369-391. A.Bridžius. Distribution of metallicity and star forming regions in the galaxies NGC 5194/5195. – Baltic Astronomy, 1998, v.7, No 3, p.525-528. J.Castilho Alcaras (Sao Paulo University, Brasil), J.Tambergs, T.Krasta, J.Ruža (Nuclear Research Center, Latvia), O.Katkevičius. The calculation of the matrix elements of the anticollective term of the nuclear microscopic hamiltonian. – In: Topics in Theoretical Physics. II. Festschrift for Abraham H.Zimerman, eds. H.Aratyn, L.A.Fereira, J.F.Gomes, IFT/UNESP, Sao Paulo, 1998, p.251-260. K.Černis, S.Bartašiūtė, V.Straižys, R.Janulis. Photoelectric photometry of stars in the Orion standard region. – Baltic Astronomy, 1998, v.7, No 4, p.625-636. Ch.Froese Fischer, M.Saparov (Vanderbilt University, USA), G.Gaigalas, M.Godefroid (Brussels University, Belgium). Breit-Pauli energies, transition probabilities and lifetimes for 2s, 2p, 3s, 3p, 4s 2L levels of the lithium sequence, Z=3¸ 8. – Atomic Data and Nucl.Data Tables, 1998. G.Gaigalas, A.Bernotas, Z.Rudzikas, Ch.Froese Fischer (Vanderbilt University, USA). Spin-other-orbit operator in the tensorial form of second quantization. – Physica Scripta, 1998, v.57, No 1, p.207-212. G.Gaigalas, Z.Rudzikas. Secondly quantized multi-configurational approach for atomic databases. – International Conference on Atomic and Molecular Data and Their Applications (ICAMDATA 97), Gaithersburg, Maryland (USA), September 29 – October 2, 1997. National Institute of Standards and Technology, USA, Special Publication 926, August 1998, p.128-131. G.Gaigalas, Z.Rudzikas, Ch.Froese Fischer (Vanderbilt University, USA). Reduced coefficients of frantional parentage for np-, nd-, and nf-shells. – Atom.Data and Nucl.Data Tables, 1998, v.70, No 1, p.1-39. V.Gineitytė. Additive components of heteroatom influence in substituted alkanes. Polarization and depolarization of bonds. – J.Mol.Struct. (Theochem), 1998, v.434, p.43-51. V.Gineitytė. A local point of view to intermolecular bonding of saturated organic molecules. – J.Mol.Struct. (Theochem), 1998. V.Gineitytė. Block diagonalization problem for a Fockian matrix of molecule and its solution by means of non-commutative Rayleigh-Schrodinger perturbation theory. – Int.J.Quant.Chem., 1998, v.68, No 2, p.119-127. V.Gineitytė. Spectral meaning of coefficients within the adjacency matrix eigenfunctions of chemical graphs of alkanes. – Croatica Chemica Acta, 1998, v.71, No 3, p.673-688. V.Gineitytė. Total energies of alkanes of through-space and through-bond interactions. Analysis of the one-electron density matrix. – J.Mol.Struct. (Theochem. ), 1998, v.430, p.97-104. V.Gontis, B.Kaulakys. Quantum Zeno and quantum anti-Zeno effects. – Lith.J.Phys. (Liet.fiz.žurn. ), 1998, v.38, No 1, p.118-121. I.Gutman (Faculty of Sciences, Kragujevac, Yugoslavia), D.Babic (Institute “Rudjer Boskovic”, Zagreb, Croatia), V.Gineitytė. Degeneracy in the equivalent bond orbital model for high-energy band in the photoelectron spectra of saturated hydrocarbons. – ACH Models in Chemistry, 1998, v.135, No 6, p.901-909. G.Hermann (Giessen University, Germany), B.Kaulakys, G.Mahr (Giessen University, Germany). Rare-gas-induced broadening and shift of two-photon transitions to intermediate (n=9-14) Rydberg states of atomic thallium. – European Phys.J., D, 1998, v.1, No 2, p.129-137. K.Jankauskas (Klaipėda University), A.Petrauskas. Calculations of the light nuclea spectroscopy characteristics. – Lietuvos mokslas ir pramonė. Fizika. Konferencijos pranešimų medžiaga, Kaunas, Technologija, 1998, p.126-128. K.Jankauskas (Klaipėda University), A.Petrauskas. The calculation of the nuclear spectroscopical characteristics in the orthogonal scheme. – Lith.J.Phys. (Liet.fiz.žurn. ), 1998, v.38, No 4, p.331-337. G.Juzeliūnas. Microscopic analysis of spontaneous emission in absorbing dielectrics. – Journal of Luminescence, 1998, v.76&77, p.666-669. G.Juzeliūnas, P.Reineker (Ulm University, Germany). One-to-two exciton transitions in molecular aggregates: Influence of exciton-exciton transitions. – Journal of Luminescence, 1998, v.76&77, p.429-432. G.Juzeliūnas, P.Reineker (Ulm University, Germany). Pump-probe spectra of linear molecular aggregates: Effect of exciton-exciton interaction and higher molecular levels. – J.Chem.Phys., 1998, v.109, No 16, p.6916-6928. V.Jonauskas. On the possibility of variation of the fundamental constants. – Lith.J.Phys. (Liet.fiz.žurn. ), 1998, v.38, No 5, p.491-492. L.Kairiūkštis (Miškų institutas), Z.Rudzikas. Regioninės sistemos tyrimų apibendrintos išvados ir rekomendacijos jos ekologiniam tvarumui didinti. – Regiono ekologinis tvarumas istoriniame kontekste. Ats. Leidėjai: L.Kairiūkštis, Z.Rudzikas. Vilnius, 1998, p.160-166. English version: General conclusions of the investigations of the regional system and reccomendations for enhancement of its ecological sustainability. – Ecological Sustainability of Lithuania in a Historical Perspective (ECOSLIT). Final Report VI. Eds. : L.Kairiūkštis, Z.Rudzikas. Vilnius, 1998, p.163-170. R.Kalytis (Vilnius University), J.Sperauskas, E.Meištas. On the necessity to standardize the photometric parameters of the WET photometers. – Baltic Astronomy, 1998, v.7, No 2, p.341-348. A.Kancerevičius, V.Lazauskas. Theoretical investigation of the dependence of valencies of the rare earth atoms in their oxides upon the numbers of f electrons. – Lith.J.Phys. (Liet.fiz.žurn. ), 1998, v.38, No 1, p.140-142 (in Russian). R.Karazija, A.Kynienė. On the symmetry of some properties of lanthanides and actinides with respect to a quarter of fN shell. – J.Chem.Phys., 1998, v.102, No 6, p.897-903. B.Kaulakys. Maps for analysis of nonlinear dynamics. – Nonlinear Analysis: Modelling and Control, 1998, v.2, p.43-58. B.Kaulakys, D.Graužinis, G.Vilutis. Modelling by maps of two-frequency microwave ionization of hydrogen atoms. – Europhys.Lett., 1998, v.43, No 2, p.123-128. B.Kaulakys, T.Meškauskas. Modeling 1/f noise. Phys.Rev.E, 1998, v.58, No 6, p.7013-7019. A.Kynienė, R.Karazija. On the symmetry with respect to a quarter of shell for the differences of the lowest energies of two configurations. – Lith.J.Phys. (Liet.fiz.žurn. ), 1998, v.38, No 1, p.122-125. R.Kisielius, P.J.Storey, A.R.Davey (University College, London, UK). Atomic data for recombination correlations. – International Conference on Atomic and Molecular Data and Their Applications (ICAMDATA 97), Gaithersburg, Maryland (USA), September 29 – October 2, 1997. National Institute of Standards and Technology, USA, Special Publication 926, August 1998, p.227-230. L.Klimka (Vilniaus pedagoginis universitetas), R.Kivilšienė. Fizikos kabinetas Senajame Vilniaus universitete. – Mokslas ir istorija, Mokslinės konferencijos medžiaga, Kaunas, Technologija, 1998, p.99-108. S.Kučas, R.Karazija. The location of 4d photoabsorption resonances and the collapse of 4f radial wavefunction in lanthanides. – Physica Scripta, 1998, v.57, No 1, p.207-212. A.Kučinskas. Circumstellar shells of the mass-losing AGB stars: terminal outflow velocities. – Baltic Astronomy, 1998, v.7, No 3, p.495-512. A.Kupliauskienė. The influence of valence electron excitation on the 2s subshell photoionization cross sections of atomic sodium. – J.Phys.B: Atom.Mol.Opt.Phys., 1998, v.31, No 13, p.2885-2896. S.Larsson (Chalmers University of Technology, Geteborg, Sweden), A.Klimkans (Institute of Physical Energetics, Latvia), L.Rodriguez-Monge (Mons Hainaut University, Belgium), G.Duškesas. Reorganization energies in organic p systems. – J.Mol.Str. (Theochem. ), 1998, v.425, No 1-2, p.155-159. E.Meištas et al. Asteroseismology of RXJ2117+3412. – Baltic Astronomy, 1998, v.7, No 1, p.99-104. E.Meištas et al. Whole Earth Telescope observations of AM CVn – discoseismology at last. – Astron. and Astrophysics, 1998, v.332, p.939-957. G.Merkelis. Diagrammatic representation of perturbation expansion for open-shell atoms in coupled form. – Lith.J.Phys. (Liet.fiz.žurn. ), 1998, v.38, No 3, p.251-273 (Review article). G.Merkelis, I.Martinson (Lund University, Sweden), R.Kisielius, M.-J.Vilkas. Ab initio calculation of electric quadrupole and magnetic dipole transitions in ions of the NI isoelectronic sequence. – Physics Scripta, 1998. B.E.J.Pagel (Sussex University, UK), G.Tautvaišienė. Chemical evolution of the Magellanic Clouds. – ESO Workshop on “Chemical Evolution from Zero to High Redshift”, 14-16 October 1998, Garching, Germany. Eds. J.Mathis, J.R.Walsh. Springer-Verlag, 1998, 10 p.
B.E.Pagel (Sussex University, UK), G.Tautvaišienė. Chemical evolution of the Magellanic Clouds: analytical results. – Monthly Notices of RAS, 1998, v.299, p.535-544. B.E.Pagel (Sussex University, UK), G.Tautvaišienė. Chemical evolution of the Magellanic Clouds. – Proc. of the Moriond Astrophysics Meeting on “Dwarf Gallaxies and Cosmology”, 1998. J.Požela, Z.Rudzikas. Conversion of military-industrial radioelectronical technologies of Lithuania to civilian use. – NATO Advanced Research Workshop on Conversion, October 8-10, Kiev, 1997. N.Rakštikas, A.Kupliauskienė. Strong dependence of the 2p photoionization cross sections of Na atoms on valence electron state. – Physica Scripta, 1998, v.58, No 6, p.587-594. 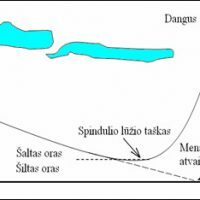 L.Sakalauskas (Matematikos ir informatikos institutas), P.Serapinas. Duomenų statistinis bei metrologinis patikimumas. – Regiono ekologinis tvarumas istoriniame kontekste. Ats. leidėjai: L.Kairiūkštis, Z.Rudzikas. Vilnius, 1998, p.157-159. English version: Ecological Sustainability of Lithuania in a Historical Perspective (ECOSLIT). Final Report VI. Eds. : L.Kairiūkštis, Z.Rudzikas, Vilnius, 1998, p.162. P.Serapinas. Uncertainty – statistical approach, 1/f noise and chaos. – Accred.Qual.Assur., 1998, v.3, No 4, p.145-149. P.Serapinas. Metrologinės medžiagos kiekio matavimų problemos. – Matavimai, 1998, Nr. 3(8), p.7-12. F.Smriglio (Rome University, Italy), A.Kazlauskas, A.K.Dasgupta (Rome University, Italy), V.Straižys, R.P.Boyle (Vatican Observatory; Steward Observatory, USA). CCD photometry of the globular cluster M92 in the Vilnius photometric system. Eastern area. – Baltic Astronomy, 1998, v.7, No 3, p.393-405. V.Straižys, K.Černis, S.Bartašiūtė (Vilnius University). Photoelectric photometry of stars in the Orion standard region. – Baltic Astronomy, 1998, v.7, No 4. V.Straižys, A.Eimontas, J.Sūdžius (Vilnius University), K.Černis. Emission-line stars in the Vilnius photometric system. – Baltic Astronomy, 1998, v.7, No 4, p.589-604. V.Straižys, R.Lazauskaitė, R.Liubertas, A.Ažusienis. Star classification possibilities with broad-band photoelectric systems. The Solar system. – Baltic Astronomy, 1998, v.7, No 4, p.605-624. V.Straižys, R.Liubertas, R.Lazauskaitė. A comparison of stellar classification possibilities of photometric systems. I. Solar metallicity stars. – Baltic Astronomy, 1998, v.7, No 4. V.Straižys, V.Lujanas (Fizikos institutas), K.Zdanavičius, V.Pūtys (Fizikos institutas), A.Kazlauskas. Ozono sluoksnio variacijos virš Lietuvos. – Regiono ekologinis tvarumas istoriniame kontekste. Ats. Leidėjai:L.Kairiūkštis, Z.Rudzikas. Vilnius, 1998, p.12-15. English version: Changes of the ozone layer over Lithuania. – Ecological Sustainability of Lithuania in a Historical Perspective (ECOSLIT). Final Report VI. Eds. : L.Kairiūkštis, Z.Rudzikas. Vilnius, 1998, p.18-24. J.Šalkauskas, P.Serapinas, A.Pupyshev (Ural Technical University, Ekaterinburg, Russia). On accuracy of simulation of analytic signals in arc discharge AES. – XIV Seminar on Atomic Spectrochemistry Proceedings, High Tatras – Podbanske, Slovakia, 1998, p.288-291. J.Šalkauskas. Some results of interlaboratory tests of soil atomic spectrochemistry in Lithuania. – Proc. of XIV Seminar on Atomic Spectrochemistry Proceedings, High Tatras – Podbanske, Slovakia, 1998, p.235-237. V.Šimonis. Static properties of hadrons in the improved bag model. – Lith.J.Phys. (Liet.fiz.žurn. ), 1998, v.38, No 3, p.274-285. J.Tamulienė, A.Tamulis, R.R.Abdreimova (Kazachijos Organinės katalizės ir elektrochemijos institutas), M.L.Balevičius (Vilniaus universitetas). Laisvojo fosforo katalitinių reakcijų Cu ir Fe metalų organiniuose junginiuose tyrimas ab initio kvantinės chemijos metodais. – Lietuvos mokslas ir pramonė, Neorganinė chemija ir technologija. Konferencijos pranešimų medžiaga, Kaunas, Technologija, 1998, p.184-189. J.Tamulienė, A.Tamulis, M.L.Balevičius (Vilnius University), N.A.Kotov (Oklahoma University, USA). Quantum chemical investigations of molecular diode designed from 1,4-phenylenediamine and benzene molecules. – Pirmosios respublikinės jaunųjų mokslininkų konferencijos “Lietuva be mokslo – Lietuva be ateities”, įvykusios Vilniuje 1998 m. rugsėjo 30 – spalio 2 d., medžiaga. Vilniaus Gedimino technikos universitetas, Vilnius, Technika, 1998, 2 tomas, p.67-72. J.Tamulienė, A.Tamulis, A.Graja (Poznanės Molekulinės fizikos institutas, Lenkija), M.L.Balevičius (Vilniaus universitetas). Fulereno C60 ir CS2, C6H6 molekulių bei Li atomo nekovalentinio ryšio darinių tyrimas kvantinės chemijos ab initio artėjime. – Lietuvos mokslas ir pramonė, Fizika. Konferencijos pranešimų medžiaga, Kaunas, Technologija, 1998, p.278-281. A.Tamulis, R.R.Abdreimova (Kazachijos Organinės katalizės ir elektrochemijos institutas), J.Tamulienė, M.L.Balevičius (Vilniaus universitetas). Laisvojo fosforo katalitinių reakcijų tyrimas ab initio kvantinės chemijos metodais. – Ten pat, p.253-255. A.Tamulis, J.Tamulienė, A.Graja (Institute of Molecular Physics, Poznan, Poland). Quantum chemical ab initio investigations of non-covalent bonding derivatives of fullerene C60 and Li atom or CS2, C6H6 molecules. – Fullerene Science and Technology, 1998, v.6, Nr.6, p.1097-1109. A.Tamulis, V.Tamulis (Vilnius University). Design of basic elements of molecular computers based on quantum chemical investigations of photoactive organic molecules. – Proc. of the SPIE. The International Society for Optical Engineering, Photonics WEST, Conference 3290 “Optoelectronic integrated circuits II”, 24-30 January 1998, San Jose (USA), p.315-324. A.Tamulis, V.Tamulis (Vilnius University), J.Tamulienė. Quantum mechanical design of molecular implementation of two, three and four variable logic functions for electronically genome regulation. – Viva Origino (Japan), 1998, v.26, p.127-146. G.Tautvaišienė. Abundances in He-core barning stars. – Proc. of 187th IAU Symp. “Cosmic Abundances”, Kluwer, 1998. G.Tautvaišienė, I.Tuominen, I.Ilyin (Oulu University, Finland). Evolutionary effects in atmospheres of metal abundant red horizontal branch stars. – Proc. of Int.Conf. “Astrophysics with the NOT”, Paris, 12-15 August 1998. G.Tautvaišienė, I.Tuominen, I.Ilyin (Oulu University, Finland). MG7: An exhibitor of metal abundant core helium-burning stars. – Proc. of Conf. “Galaxy evolution: Connecting the distant Universe with the local fossil record”, September 21-25, 1998, Paris, France. G.Vektaris. Two-particle Green’s functions for Frenkel excitons. Application to light absorption calculation in two-exciton region. – Lith.J.Phys. (Liet.fiz.žurn. ), 1998, v.38, No 1, p.126-130. M.J.Vilkas, Y.Ishikawa (University of Puerto Rico), K.Koc (Pedagogical University, Krakow, Poland). Quadratically convergent multiconfiguration Dirac-Fock and multireference relativistic configuration-interaction calculations of many-electron systems. – Phys.Rev.E, 1998, v.58, No 4, p.5096-5110. M.J.Vilkas, K.Koc (Pedagogical University, Krakow, Poland), Y.Ishikawa (University of Puerto Rico). Relativistic multireference Moller-Plesset perturbation theory based on multiconfigurational Dirac-Fock reference. – Chem.Phys.Lett., 1998, v.296, No 1-2, p.68-75. K.Zdanavičius. On the possibilities of some photometric systems for star classification. – Baltic Astronomy, 1998, v.7, No 4, p.551-570. K.Černis et al. Tabulation of comet observations (Comets: 55P, 103P and C/1997T1). – Inter. Comet Quarterly, 1998, v.20, No 1. K.Černis et al. Tabulation of comet observations (Comets: 69P, 1997J2 and C/1998H1). – Inter. Comet Quarterly, 1998, v.20, No 3. K.Černis et al. Tabulation of comet observations (Comets: 21P, 1997J2 and C/1998M5). – Inter. Comet Quarterly, 1998, v.20, No 4. K.Jankauskas, A.Petrauskas. Kvadrupolnye momenty i veroyatnosti b (E2) kvadrupolnykh perekhodov v unitarnoi skheme. – Yadernaya Fizika, 1998, v.62, No 8, p.1535-1536 (in Russian). V.Gontis. Lietuvos mokslininku sąjunga rengiasi tapti asociacija. – Mokslo Lietuva, 1998.02.25, Nr.4(162), p.13. V.Gontis. Išpuoliai prieš Spaudos, radijo ir televizijos remimo fondą tik žlugdo kulturos žiniasklaidą. – Lietuvos aidas, 1998.09.04, Nr.174, p.5. R.Karazija. Šiuolaikinė fizika Lietuvoje (knygos recenzija). – Dialogas, 1998.03.06. B.Kaulakys. Mokslo pletra dar netapo Lietuvos valdžios prioritetu. – Lietuvos rytas, 1998.11.03, Nr.257, p.4. L.Klimka (VPU), R.Kivilšienė. Senojo Vilniaus universiteto garbes nariai. – Fizikų žinios, 1998, Nr.15, p.24-25. A.Kuliešas. Lietuva 1900. – Infobalt laikas, 1998, Nr.3, p.52-55. A.Kuliešas. Kokio ilgio jusu raktas? – Infobalt laikas, 1998, Nr.3, p.66-67. A.Kuliešas. Testas maro metu. – Naujoji komunikacija, 1998, Nr.3. A.Kuliešas. Testas su variacijomis. – Naujoji komunikacija, 1998, Nr.5. A.Kuliešas. NK perka Internete. – Naujoji komunikacija, 1998, Nr.15. Z.Rudzikas. NORDITA ir Lietuva. – Mokslas ir gyvenimas, 1998, Nr.5-6, p.18-21. Z.Rudzikas. Pirmoji vieta. – Mokslas ir technika, 1998, Nr.3, p.20. Z.Rudzikas. Ar kabos Lietuvos meno akademiko darbas Luvre? – Lietuvos rytas, 1998.02.13, Nr.36. Z.Rudzikas. Kaip laikosi Lietuvos fizikai? – Fizikų žinios, 1998, Nr.14, p.1. Z.Rudzikas. Lietuvos fizikai jau Europoje. – Fizikų žinios, Nr.15, p.1. Z.Rudzikas. Fizikai ir fizikos mokytojai. – LFMA (Lietuvos fizikos mokytoju asociacija) laikraštis, 1998. A.Savukynas. Adolfo Jucio moksliniai skaitymai. – Fizikų žinios, 1998, Nr.14, p.26-27. Z.Sviderskienė. Jupiterio odisėja. – Mokslas ir technika, 1998, Nr.10, p.37-39; Nr.11, p.38-39. Z.Sviderskienė. Kai mokslas įgyja spalvas. – Mokslas ir technika, 1998, Nr.12, p.36-37. J.Ulbikas (PFI), J.Šalkauskas. Seminaras “Mokslinė paieška Internete”. – Mokslo Lietuva, 1998.01.23, Nr.2(160), p.9. K.Ušpalis. Žymiausias fizikos populiarintojas mūsų krašte. – Fizikų žinios, 1998, Nr.14, p.21. K.Ušpalis, V.Valiukėnas, A.Stabinis, V.Palenskis (VU). Erdvė ir jos rūšys. – Fizikų žinios, 1998, Nr.14, p.13-14. J.Šalkauskas. Internetas ir mokslinė informacija. – Mokslo Lietuva, 1998.02.11, Nr.3(161), p.11. J.Šalkauskas. K.Dineika, St.Šalkauskis ir dabartis. – Sveikata ir kūno kultūra: praeitis, dabartis, ateitis. Resp.moksl.konf. K.Dineikos 100-sioms gimimo metinėms medžiaga, KKI, 1998, p.42. Z.Sviderskienės 115 astronomijos populiarinimo straipsnių 1998 m. “Lietuvos aide” (rubrika “Po žvaigždėtu skliautu”), 5 kituose leidiniuose.